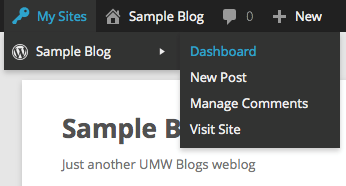 The WordPress Dashboard is the administrative view of ODU WordPress, and serves as the hub for all of the changes you’ll make, including choosing new themes, writing posts, updating your password, etc. You can create and have access to an unlimited number of blogs; each of these has its own Dashboard. 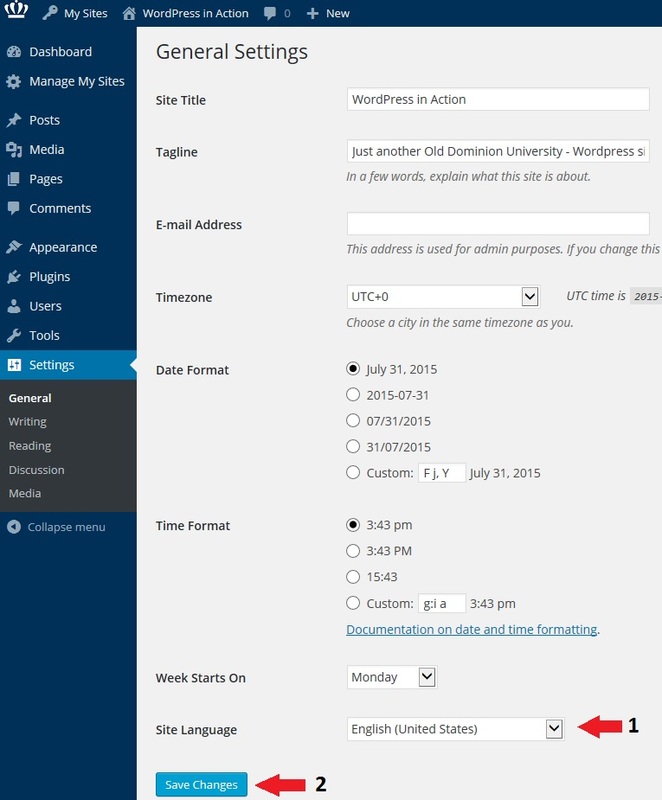 1) When you visit the ODU WordPress homepage and log in, you will be automatically taken to the Dashboard of the first blog you created or were given permission to access. 2) If you are looking at the front page of a site on ODU WordPress, you can hover your mouse over the home icon and select Dashboard from the drop-down menu that appears. 3) When you are logged in, you can see a list of sites you have access to by hovering your mouse over the My Sites icon. Hovering over a blog’s name will give you quick access to that blog’s Dashboard. 4) No matter where you are, you can always add admin to the end of your blog’s URL, and that will take you to that blog’s Dashboard. (If you are not logged in, you will be prompted to do so, and then taken to the Dashboard.) For example: if your blog is located at http://site name here.odu.org/, then your Dashboard can be accessed at http://sitenamehere.odu.org/admin. To find blogs you have created for yourself, as well as course blogs to which you have already added yourself, log into ODU WordPress and hover your mouse over the My Sites icon near the top left corner. This will pull a page that will not really be useful to you, but you can grab the URL at the top and plug it into a RSS reader such as tiny tiny RSS and it will display it in a readable format that will give you the latest updates. On the new page that opens up you can add Domain Names to your site. Additional assistance from ITS will be provided. Part of the popularity of WordPress is how easily it makes a website functional and yet attractive. One of the smaller details that you might want to adjust is how the addresses to your blog posts are structured. Permalink is the name given to the address of an individual blog post because they are “permanent links”. For example, a sample blog would be http://www.domainname here.com/site namehere/. The link to the first post, titled “Hello World” may be structured in many ways. The screenshot below shows one way. So http://www.domainnamehere.com/sitenamehere/postname/ may get you to that blog post, but it’s a little vague. With WordPress, you have many options to form the links to posts, and you can change them to specifically tailor each post. To change the permalink structure, start by going to the Dashboard. As you can see, there are several choices under Common Settings. The Default setting gives us that uninformative “?p=123”. A popular choice is to use the Post name choice, which is a bit more informative. So our post titled “Hello World” will have an address of http://www.domainnamehere.com/sitenamehere/uncategorized/postnamehere/. Finally, when you write a page, you have the option of editing the permalink for an individual page. Just click the Edit button (underneath the Title field). Then type in whatever is appropriate (and hasn’t been used yet). Generally you want to make it as simple and short a word, or words, as makes sense. Your profile contains identifying information about you, including your display name, email address, password, and avatar. To access your profile, make sure you are logged into ODU WordPress, and look in the top right-hand corner of the browser window. You should see a welcome message, along with a small picture. To access and/or update your profile, hover your mouse over the “Welcome” message, and click the Edit My Profile link that appears in the drop-down menu. 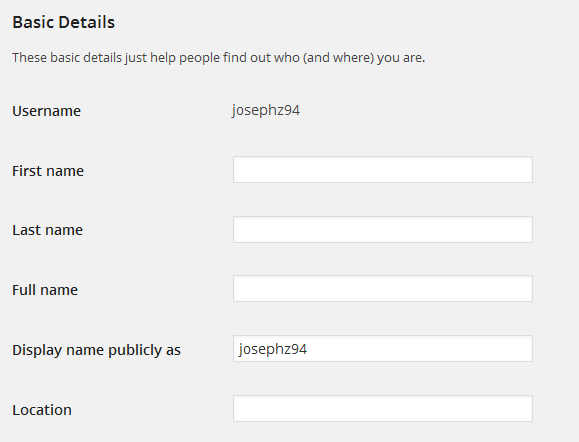 2) Use the “Display name publicly as” drop-down menu to pick how others will see you. The only box that must be filled out in this area is the nickname; if you are uncomfortable in having your real name displayed on ODU WordPress, pick a pseudonym and let your professors know what name you are using. WordPress user accounts and Passwords are controlled through your shibboleth login (Monarch Key). When you go to the Edit Profile page, you will notice that the Username, First Name, Last Name, and email address are visible but grayed. 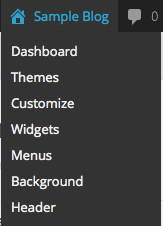 These options are not available for users to change. You will also notice that there is not an option to change your password. If you need to change your password, you should go to Midas. 1) Visit the Gravatar home page and sign up for an account with your @odu.edu email address. 2) Upload a picture (of yourself, a pet, etc) into Gravatar, and ask it to associate that image with your @odu.edu email address. 3) Save your changes, and within a little while, ODU WordPress will automatically begin associating the image you uploaded with your ODU WordPress account. This doesn’t always happen immediately, so you may need to wait for this to happen. The account you create on Gravatar can also be used to access WordPress.com. Although WordPress.com uses the same underlying software that ODU WordPress does, these two usernames/passwords are completely separate from one another, and are not interchangable. That said, having a WordPress.com account can provide you with access to a number of other features and services, so it’s a good idea to create one. Users can override the default network language settings and set their own preferred default language using Settings > General. 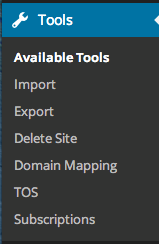 Click on Setting > General in the site admin dashboard. Select the default language under site language.